Biologists at Hol Chan Marine Reserve have released the official turtle nesting reports for 2012, and the news is good – actually, fantastic! 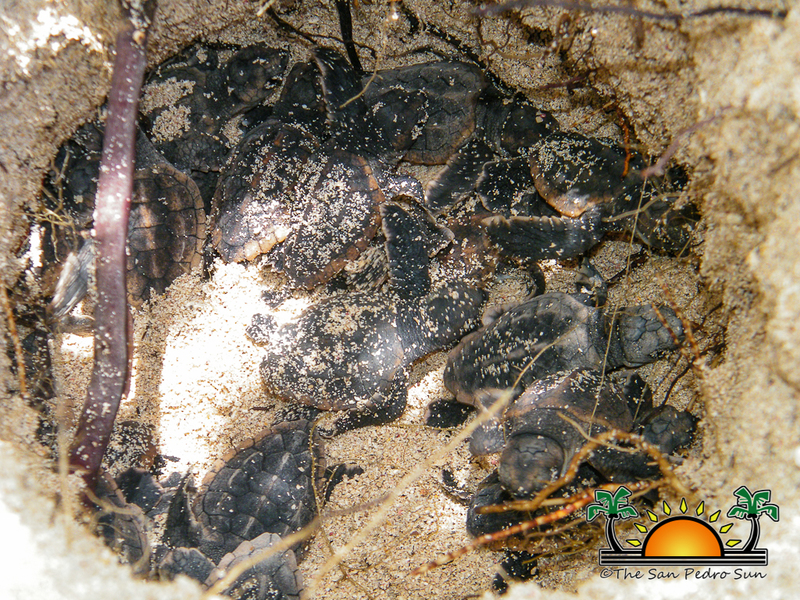 The Reports indicate that almost double the number of turtle nests were found in 2012 as compared to 2011, and even more exciting is the discovery of three Hawksbill turtle nests – something that has not been recorded since the early 1990’s! Nesting observations took place from mid-May to late November 2012 on Northern Ambergris Caye, with a concentration on Robles and Rocky Point beaches - areas that have seen the most activity throughout the years. 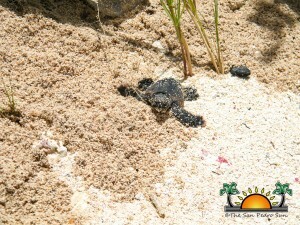 Turtle nests monitoring in those areas started in 2009 and has since seen great growth in the number of nests found. Three native turtle species’ nests were studied: the Loggerhead turtle (Chleonia Caretta), the Green turtle (Chleonia Mydas) and the Hawksbill turtle (Eretmochelys imbricate). This year, a total of 85 nests were recorded in the areas of Robles, Rocky Point, Punta Azul and Basil Jones Areas, as compared to 2011’s 43 nests. However, no nest was reported in the Habanero’s Area this year. 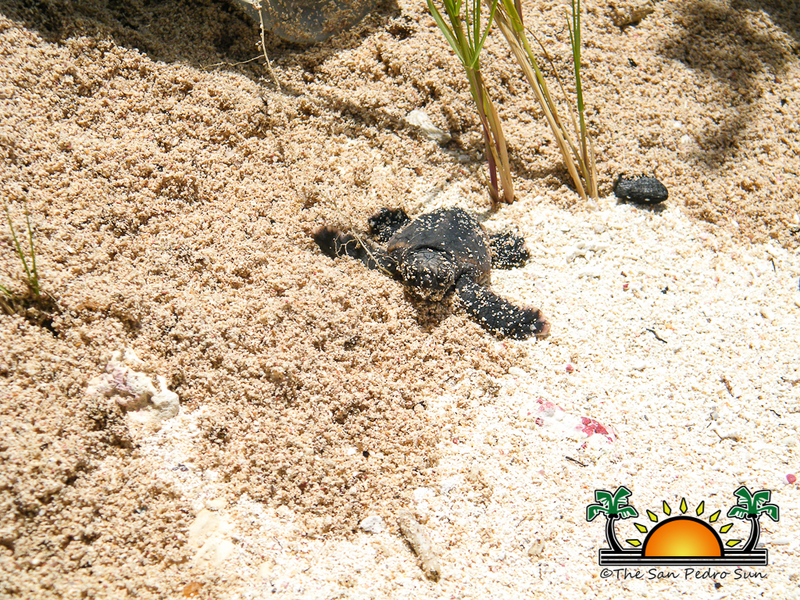 Overall there has been a 79% increase in turtle nests since 2009, and biologists believe that this significant increase in turtle nesting is a result of the continued conservation efforts in the areas. Sea turtles are a protected species in Belize since 1993, and the disturbing of turtle nests or possession of sea turtles is illegal. The Hawksbill is the most endangered species in the Caribbean, and the proper conservation of its nests is essential to preservation. The selling or trafficking of the Hawksbill or any sea turtle related infraction can result in $1000 fine and up to one year imprisonment. Facing a life span of almost 80 years, sea turtles are prone to many effects of pollution and global warming that may shorten their lifespan, and with their numbers dwindling, it is important that all necessary precautions are taken to protect these amazing reptiles. 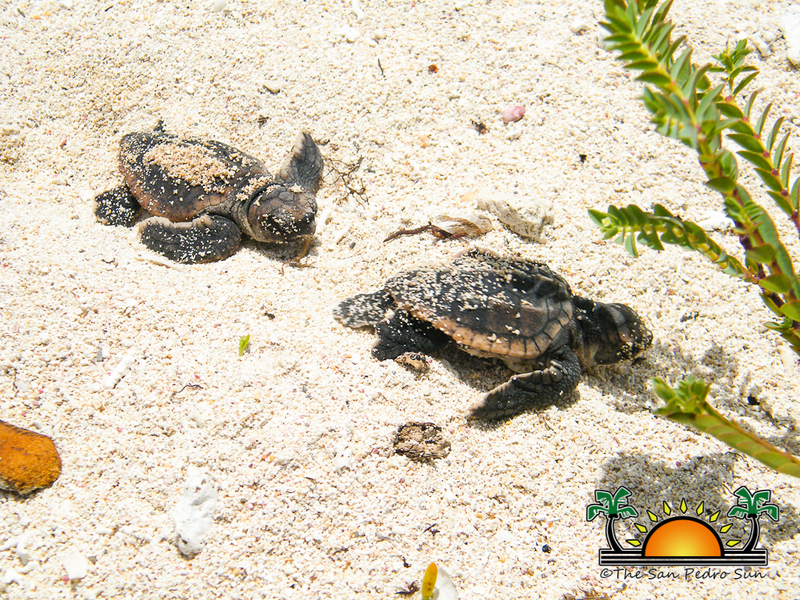 Ambergris Caye’s beaches are witness to the start of a turtle’s life, and it is imperative that humans respect their nests. 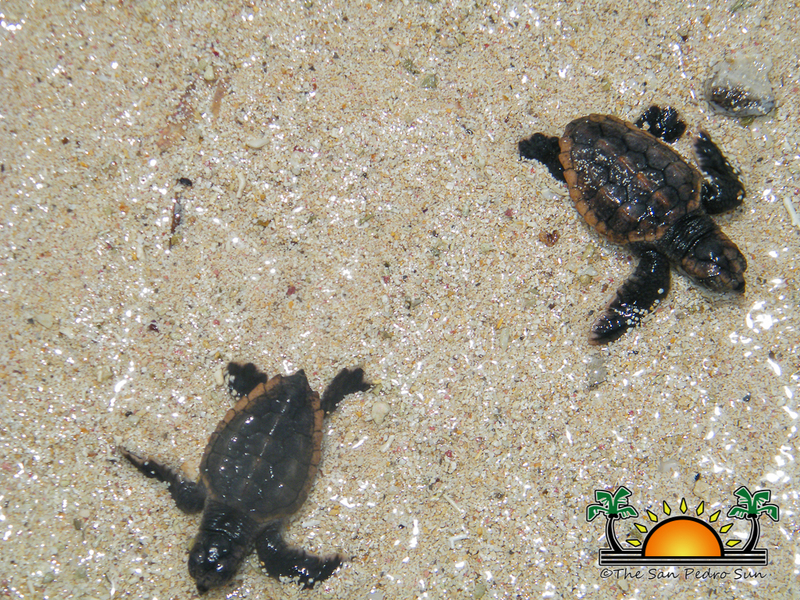 New hatchlings can be scared off by human activity – roaring vehicles down the beach can be hazardous to the young turtles’ lives. Avoiding the clearly marked nests, staying a safe distance away, and not disturbing turtle nests can all lead to more turtles hatching and surviving the first phase of their long life. The turtle nesting report could not have been made possible without the efforts of the Hol Chan Marine Reserve staff that spent long hours searching the beaches for the nests of the turtles. Residents are being asked to report any sightings of turtles on the beaches or turtle stranded out at sea to the Hol Chan Marine Reserve at 226-2247. All information that is received from turtle sightings and stranding is used to improve sea turtle conservation methods and rescue.